What is a woody or musk style perfume? This style focuses on aromatic wood notes and/or animalistic notes such as musk, castoreum, ambergris and civet. It may include balsamic wood like pine, fir or spruce. It can be hardwood like oak or madrone. Mediterranean woods are sometimes called Chypre and may include moss, cypress or juniper wood. There are also green woods such as redwood. 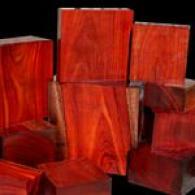 Examples of rich wood notes are sandalwood and rosewood. A complex fusion of heart wood notes and deeply fragrant grasses including patchouli, sustainably-grown Australian sandalwood and a touch of Italian bergamot. 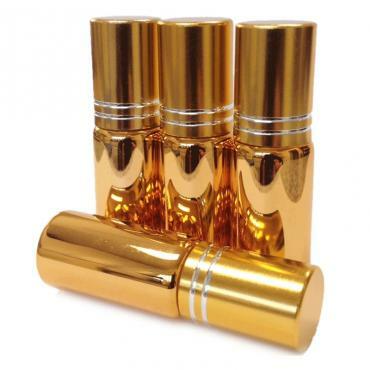 The scent is equally suited to women and men.Click here to check out celebrities that selected Roshambo. To see it in magazines click here.Jane's inspiration: Roshambo is inspired by the celebration of facing life's many challenges and choosing a path. Remember the old rock, paper, scissors game - in French - Roshambo. The ingredients of Roshambo are reputed to support the sacral chakra - the energy center that influences creativity, prosperity, romance and fun. If you are purchasing a perfume oil roll-on, we recommend one that complements the energy of Roshambo's plant oils - carnelian. Carnelian is also known as the success or prosperity stone.Contains: Our proprietary fragrance composition of 100% natural essential oils and absolutes distilled from genuine flowers, fruit, citrus, seeds, grasses, leaves, bark, ..
A consciousness-altering blend of smoky sandalwood, Himalayan incense cedar, deep forest lichen and smooth transcendent musk. One sniff and you'll agree, there's no place like Om. Equally suited to men and women.Click here to check out celebrities that selected Om. To see it in magazines click here.Jane's inspiration: Om...the single syllable that many believe was the sound of the creation of the Universe! How awesome is that?! Its sound vibration is reputed to calm the mind and initiate deep peace. The senses of hearing and smell are believed by many sciences to be the direct pathways to the brain. So breathe in Om and awaken your senses to a feeling of inner strength and tranquil bliss. The ingredients of Om are reputed to support the crown and base chakra - so if you are purchasing a fragrance oil roll-on, we recommend amethyst or red garnet. These stones magnify the energy of the plant oils contained in the formula. Ameythst influences connection, bliss, onen..